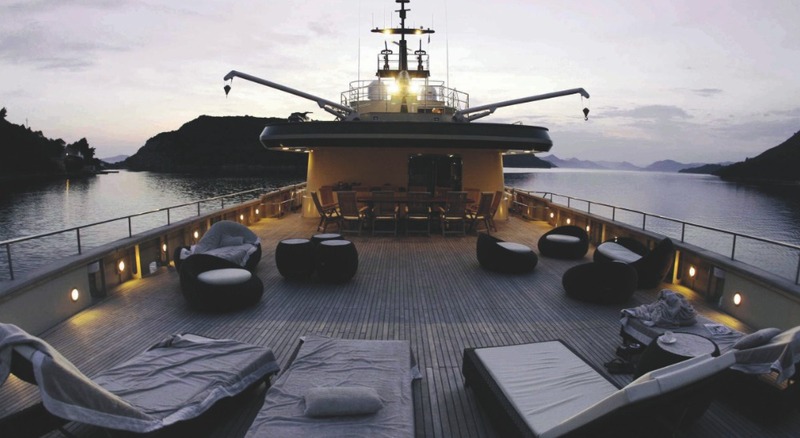 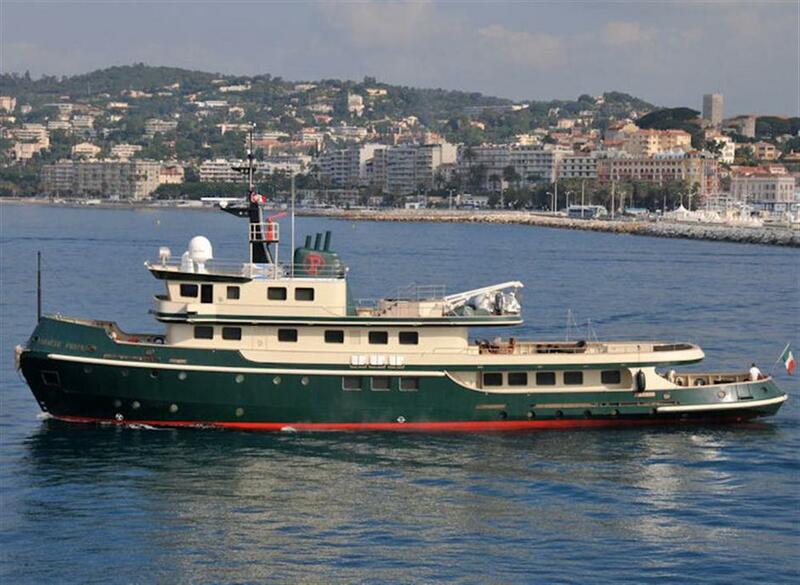 ARIETE PRIMO is a 44m Luxury Motor yacht which was launched in 1967 and completely refitted in 2006. 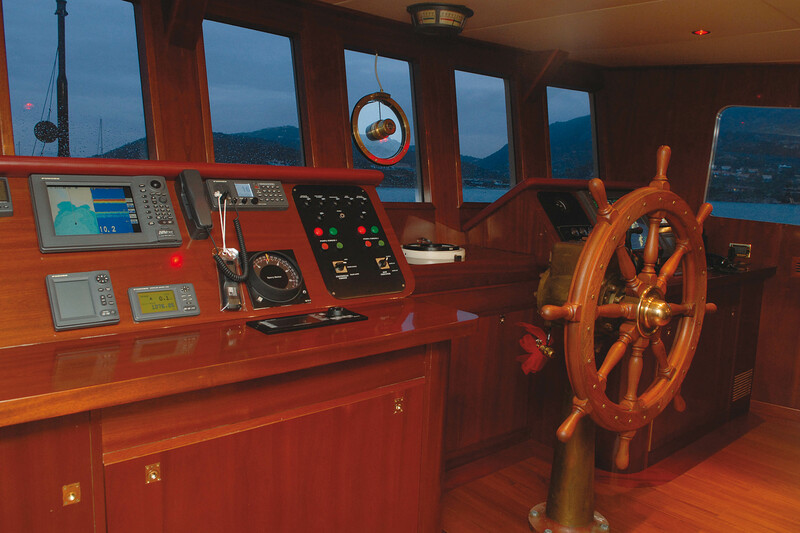 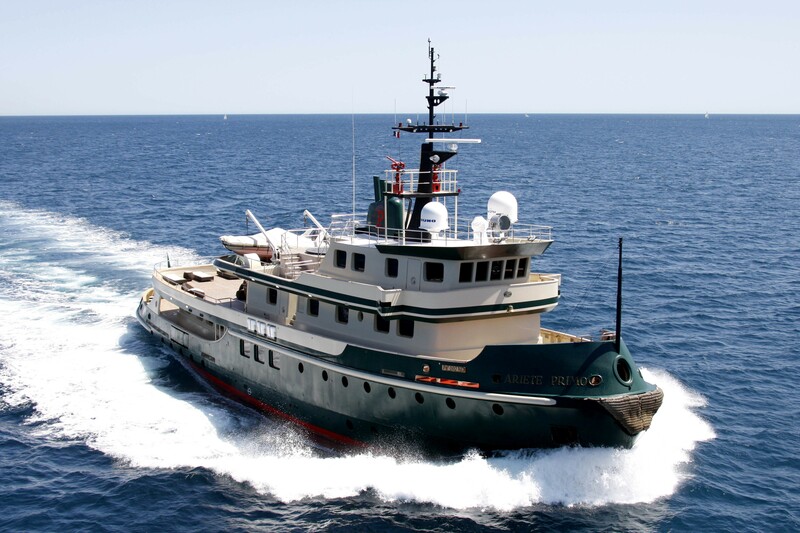 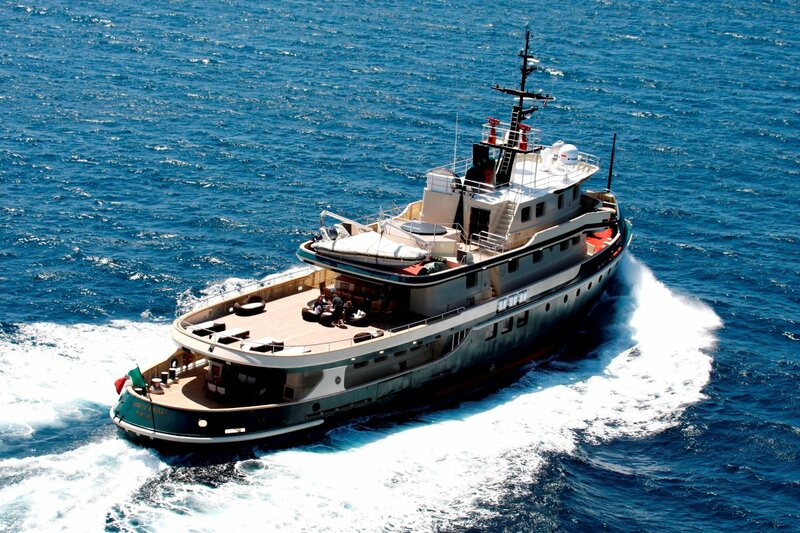 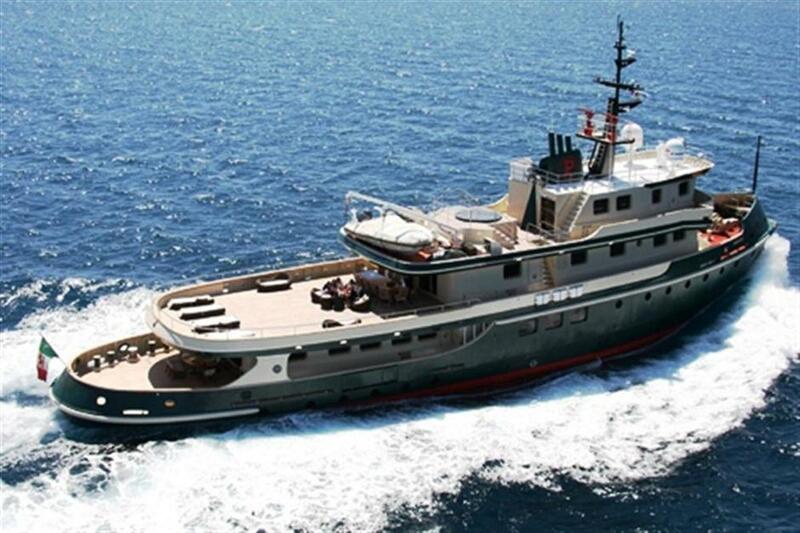 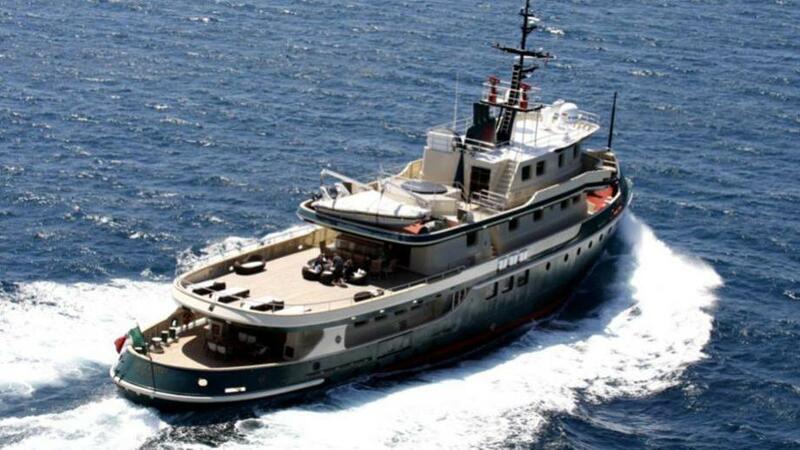 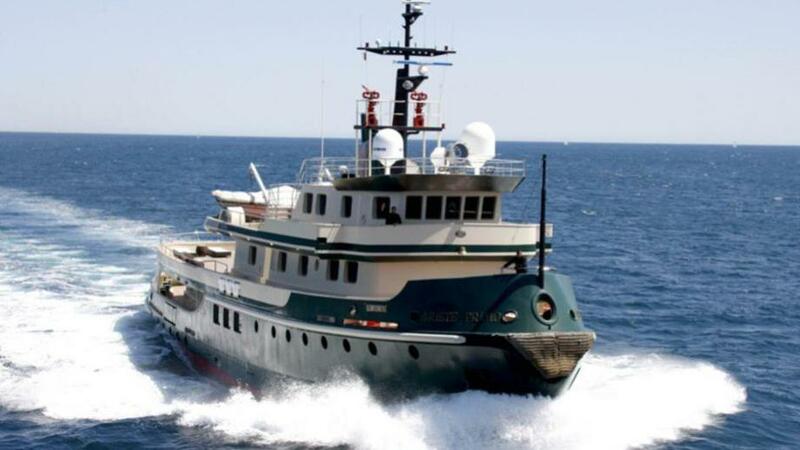 She has been transformed into an elegant yacht for exclusive yacht charters, however, has preserved all the elegance charm and originality of her background as a tugboat that has travelled across the oceans of the world. 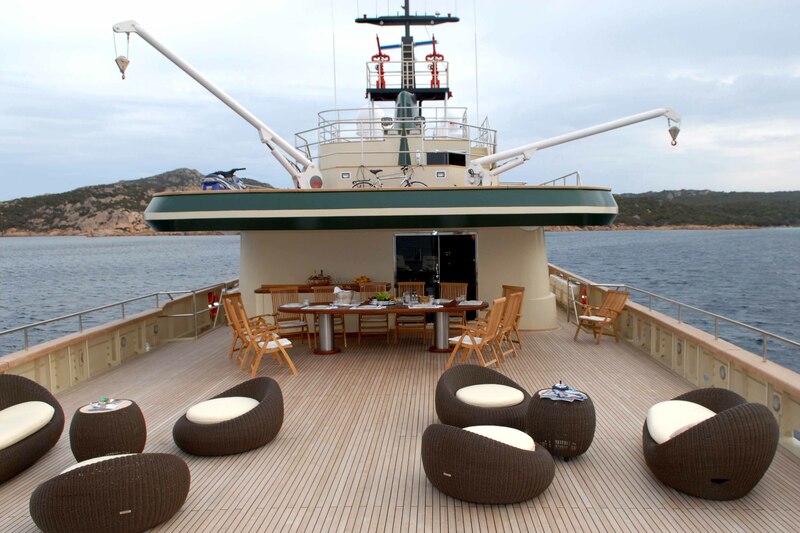 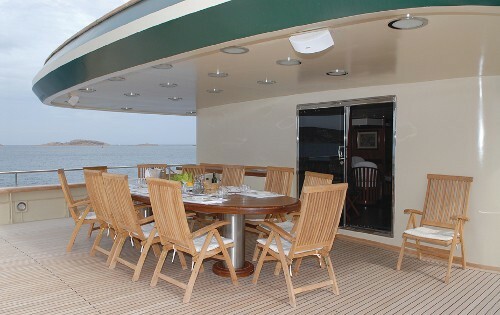 She accommodates 12 guests in 6 cabins. 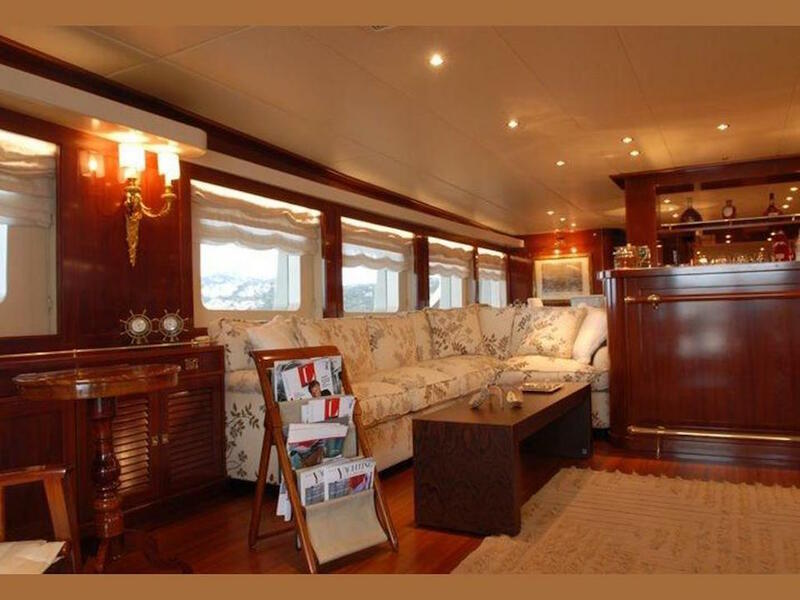 Precious woodwork and furnishings throughout create a warm and cosy interior, and every detail has been carefully designed for total comfort and relaxation. 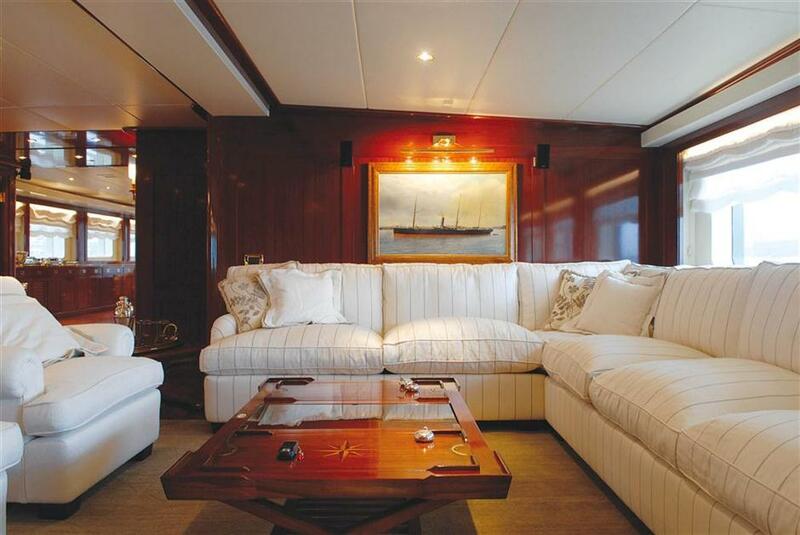 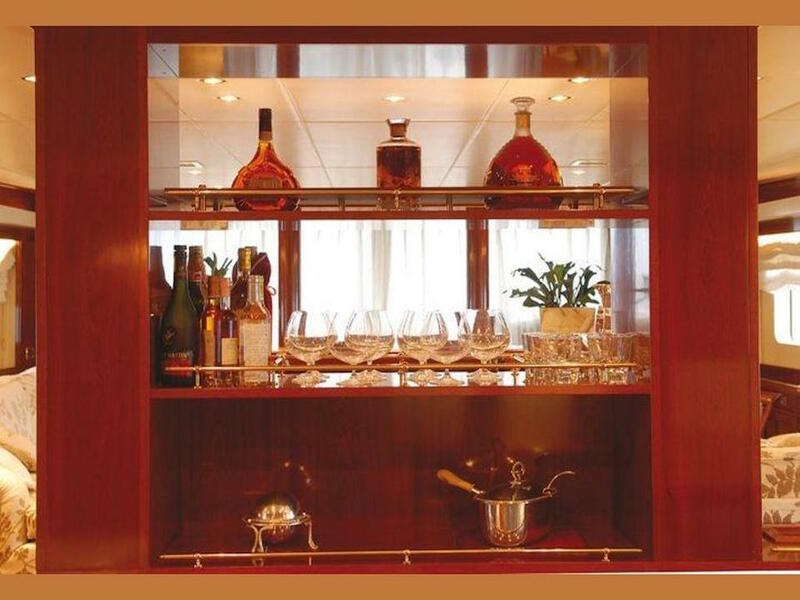 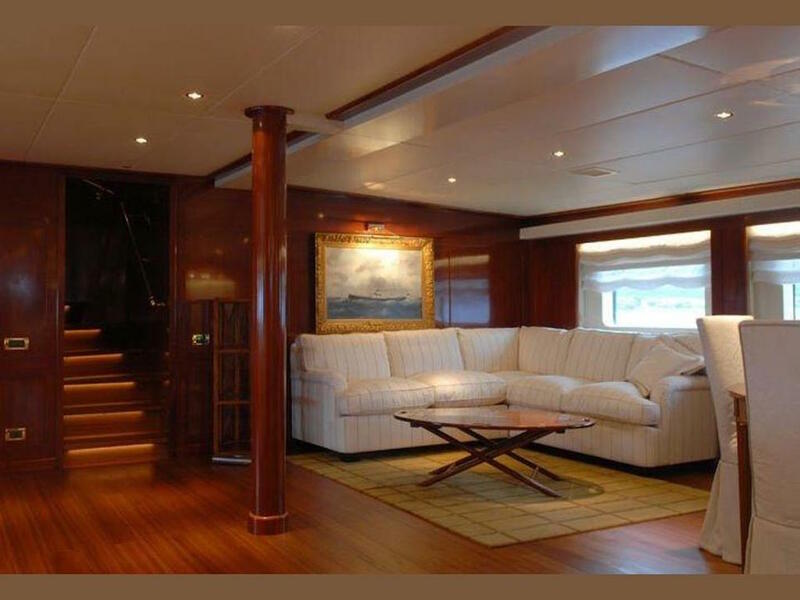 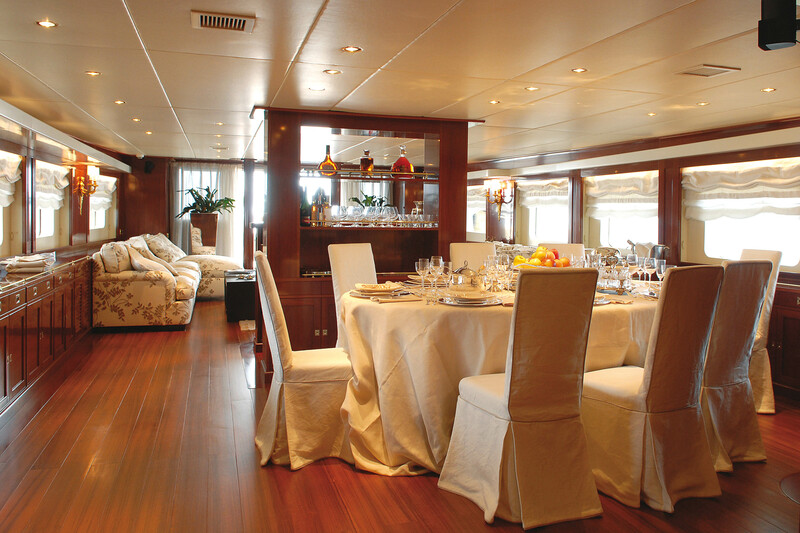 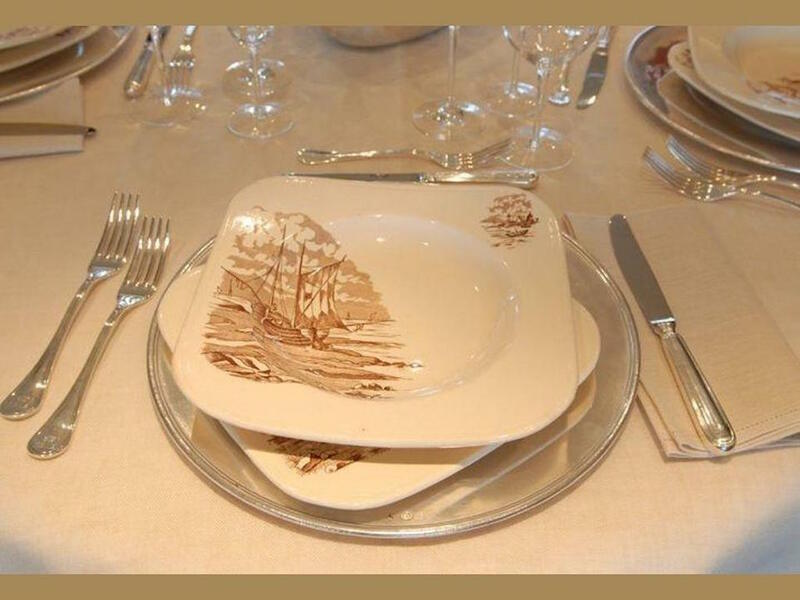 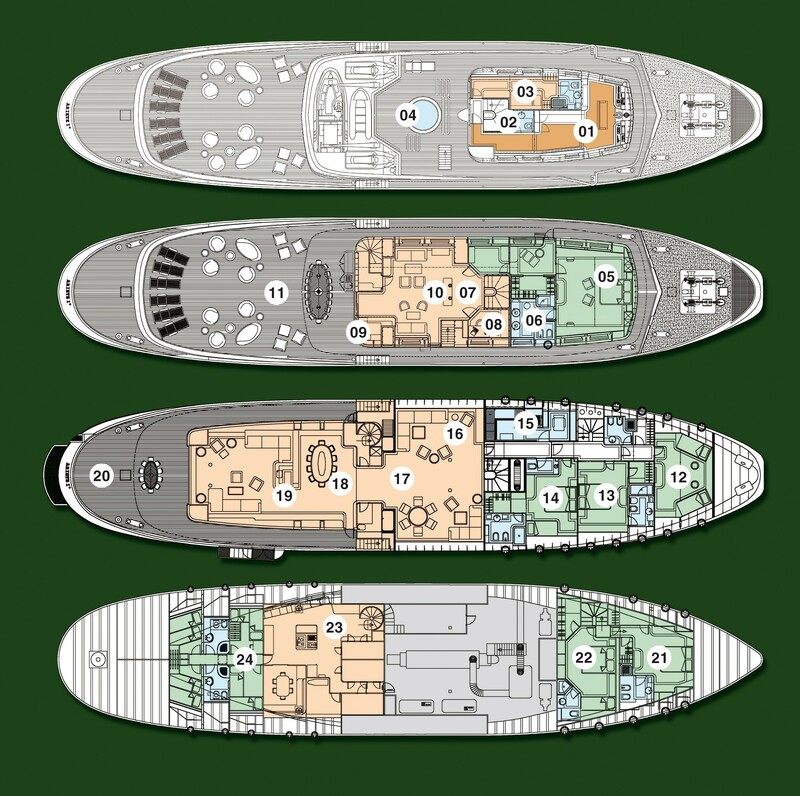 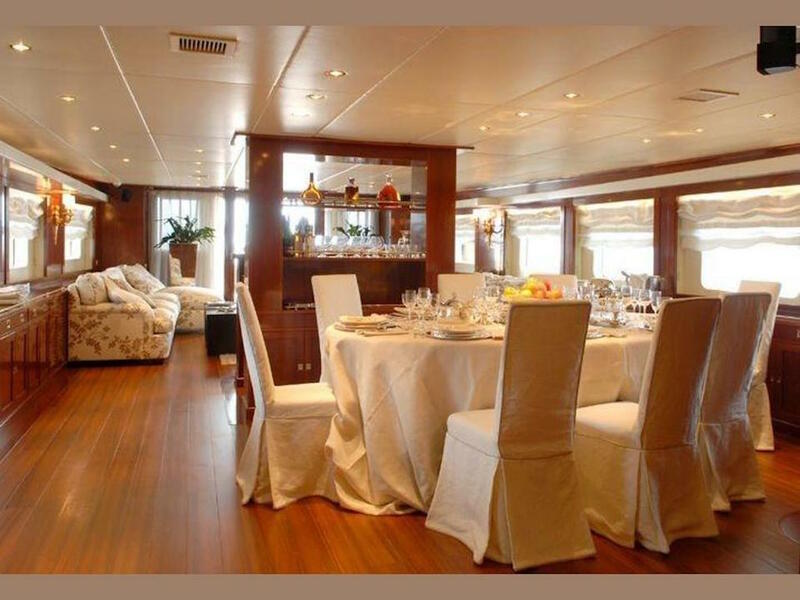 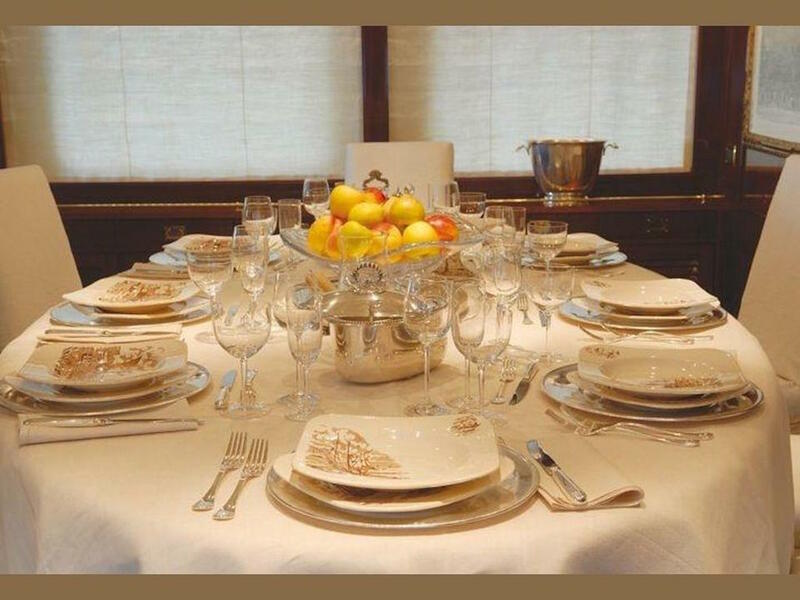 On the main deck, ARIETE PRIMO offers two separate saloons, (One with a dining table for eight guests and the other one a table for four guests). 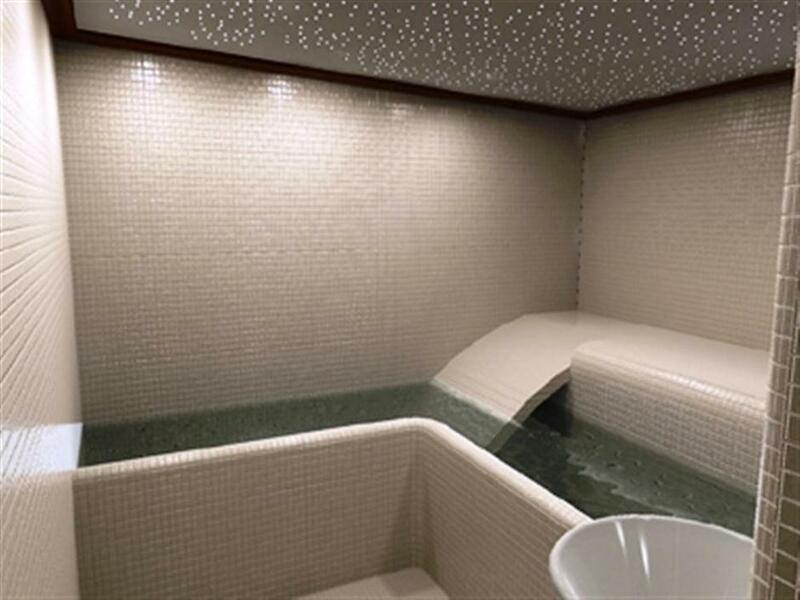 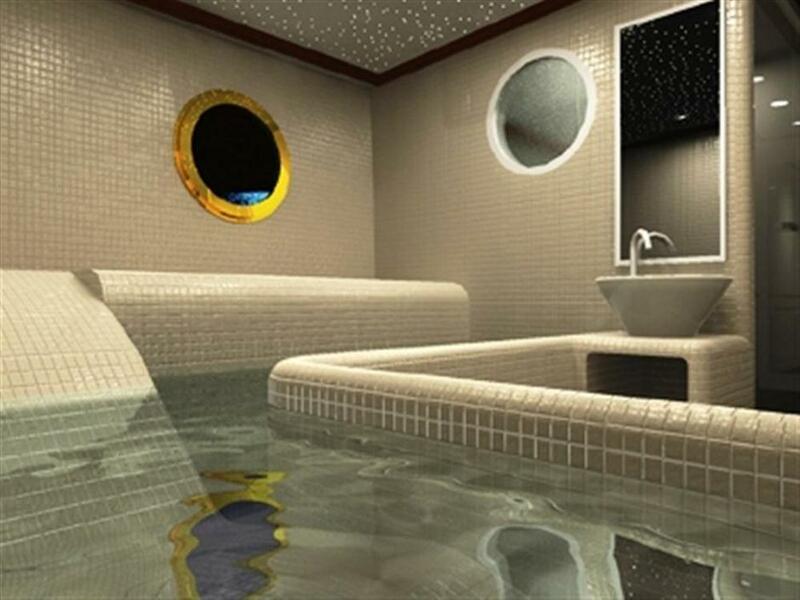 On this level, there is also a mosaic tiled spa offering chromotherapy and aromatherapy, a gym, a hammam (Turkish-style steam bath) and a whirlpool bath to pamper both body and mind. 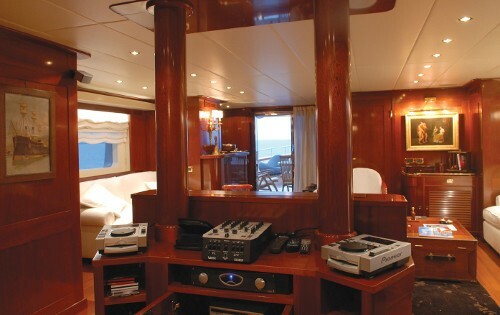 On the upper deck, there is a small salon with a DJ station and plasma TV and a study with internet access. 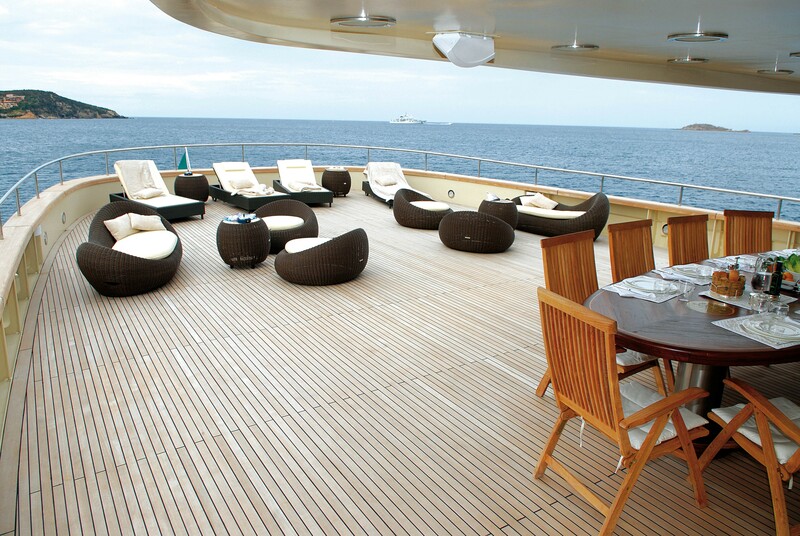 Leading outside from the upper saloon is Alfresco dining for 12 and a sun area with long chairs and ample seating. 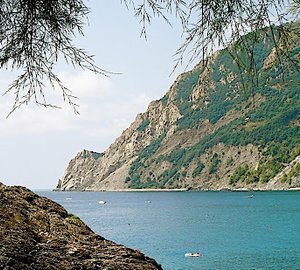 An extendable tent will be available for sun protection. 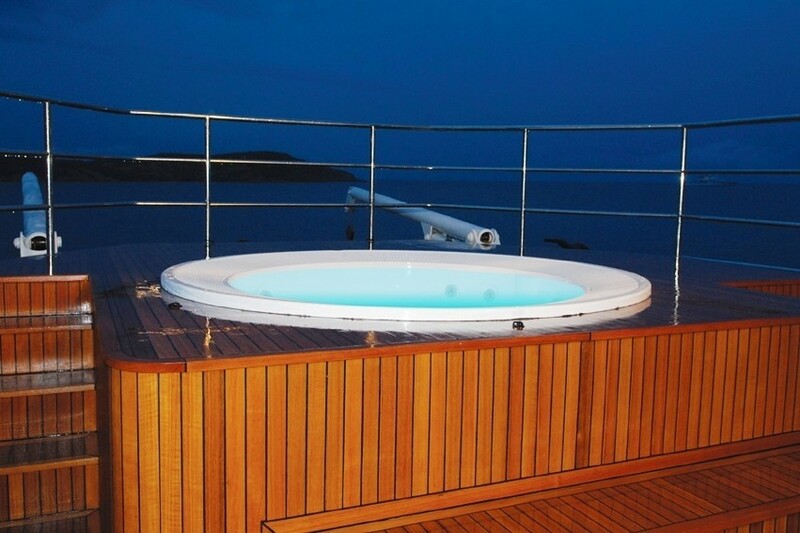 The sun deck above boasts a Spa Pool. 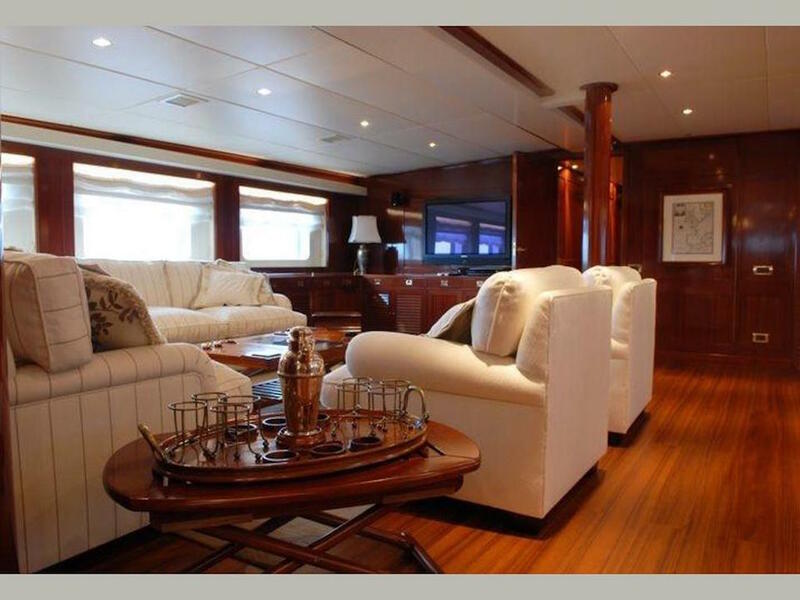 ARIETE PRIMO is stylish and practical with an excellent layout for entertaining and offers LCD TV’s throughout which are supported by the renown Bose sound systems. 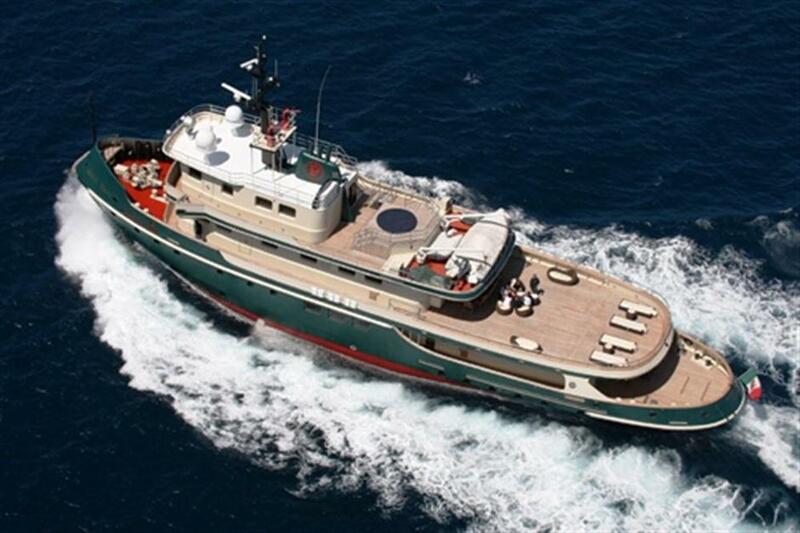 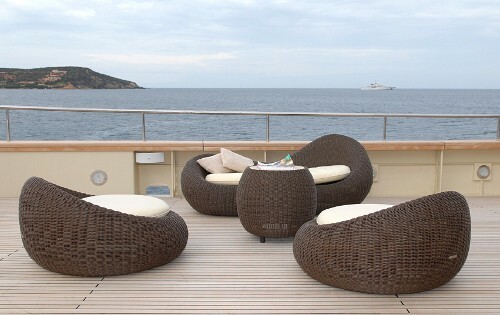 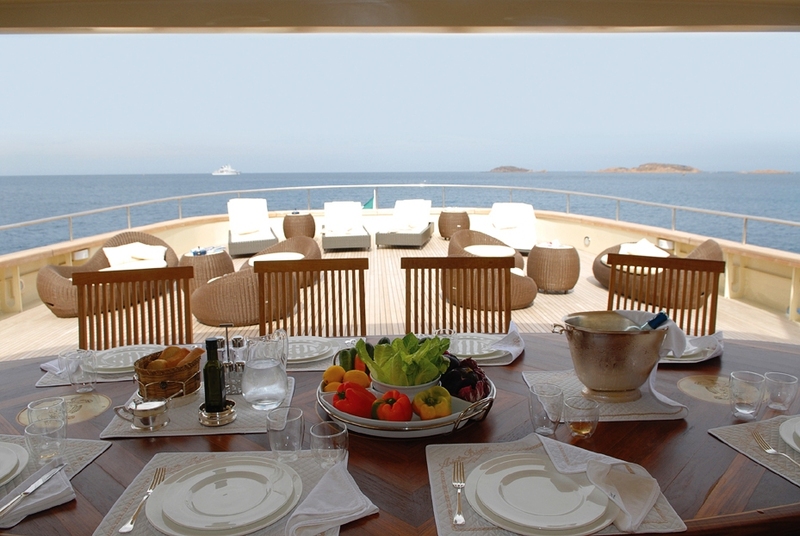 ARIETE PRIMO has an Italian crew of 9 who look forward to welcoming you onboard for an unforgettable charter. 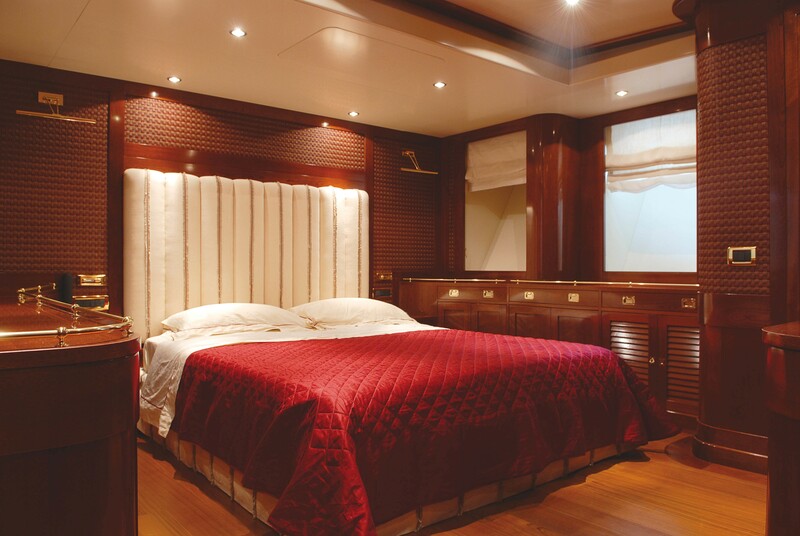 Luxury motor yacht ARIETE PRIMO comfortably accommodates 12 guests in 6 cabins including a master, 4 double and and 1 twin. 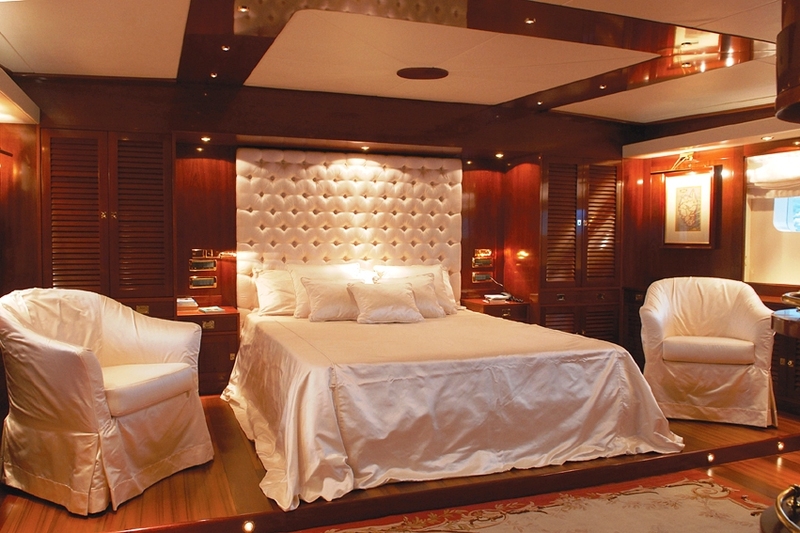 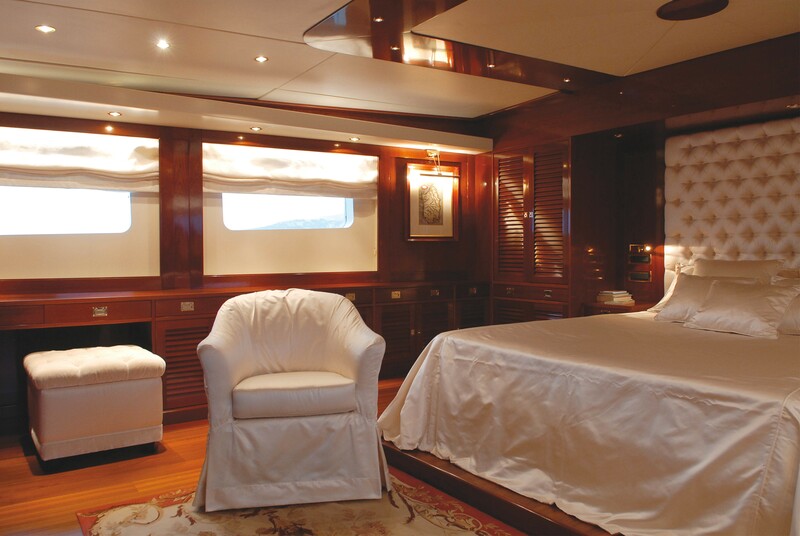 The master stateroom is located on the upper deck and has a king size bed, Spa Pool, shower & bidet. 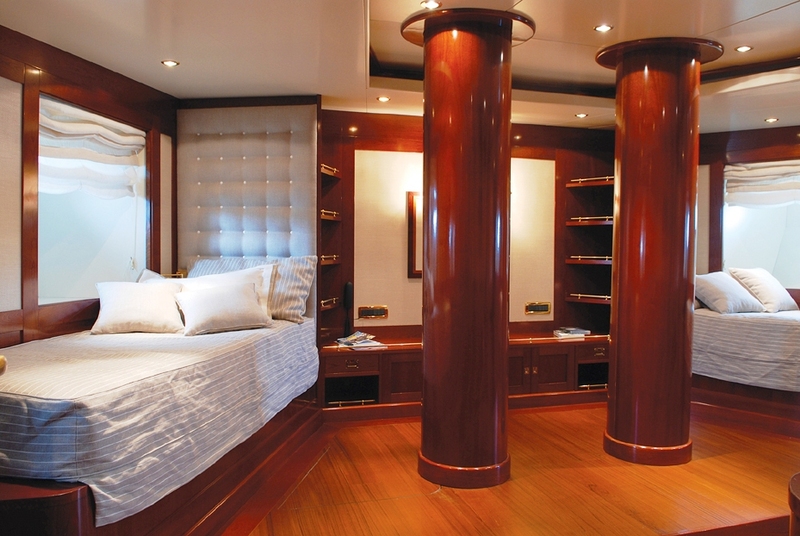 A Massage chair at the entrance and a spacious dresser (with sliding doors). 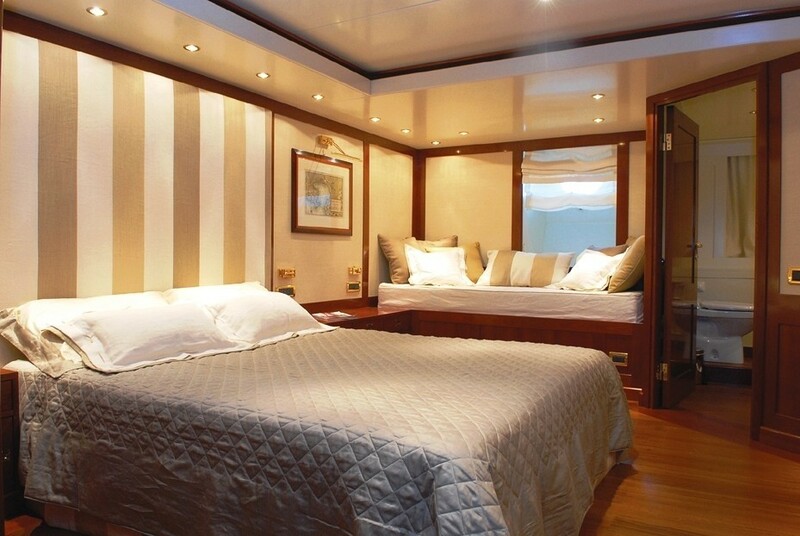 There are 4 cabins with queen beds, two of which are on the main deck and 2 on the deck below. 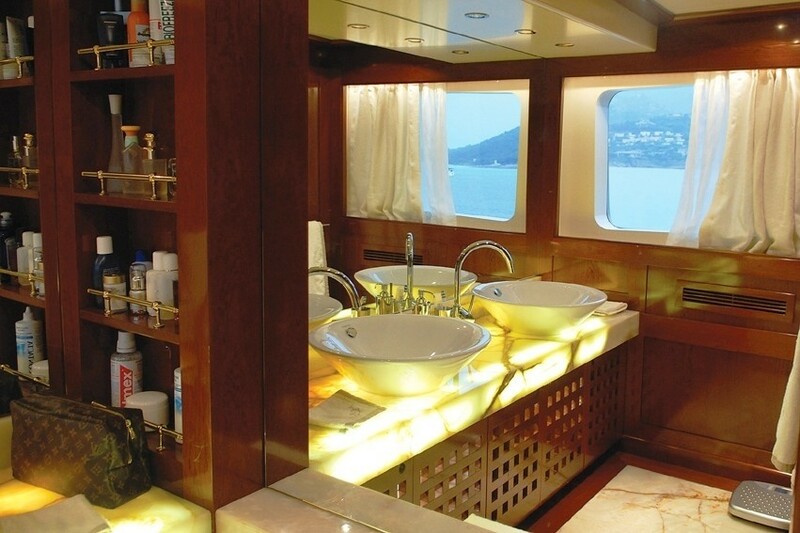 Three of the queen staterooms have a bidet. 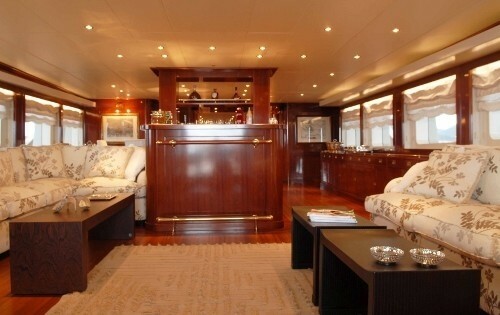 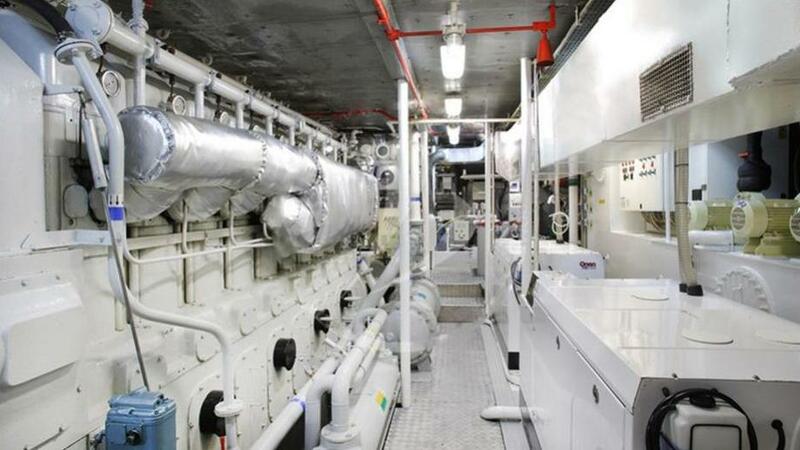 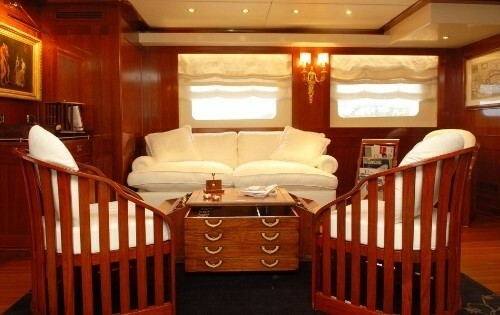 The twin cabin is located on the main deck. 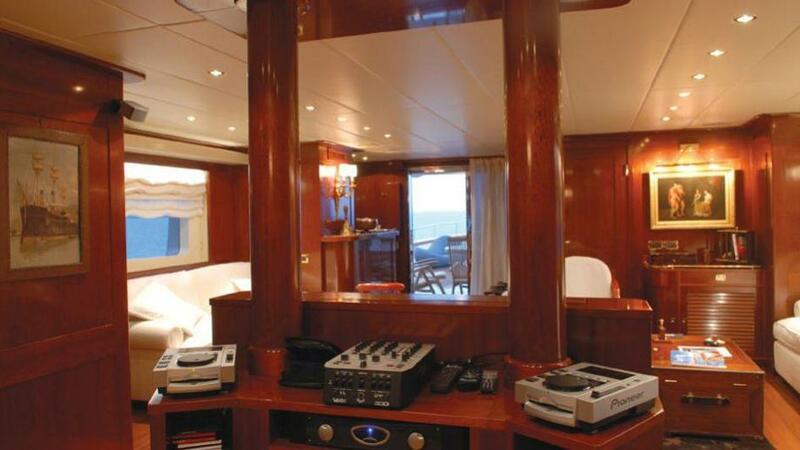 All cabins have ensuite with dressers, plasma screen TVs, DVD, music and Sky. 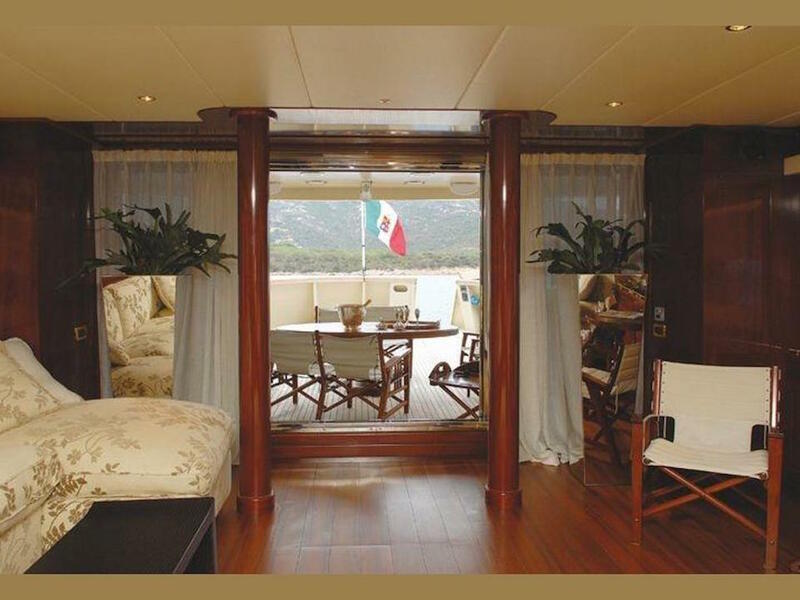 ARIETE PRIMO is equipped with a range of Tenders & Toys including a a 6.9 m Marlin tender housed on the sun deck, a Yamaha jet ski, a Yamaha wave runner, Diving equipment and water skis. 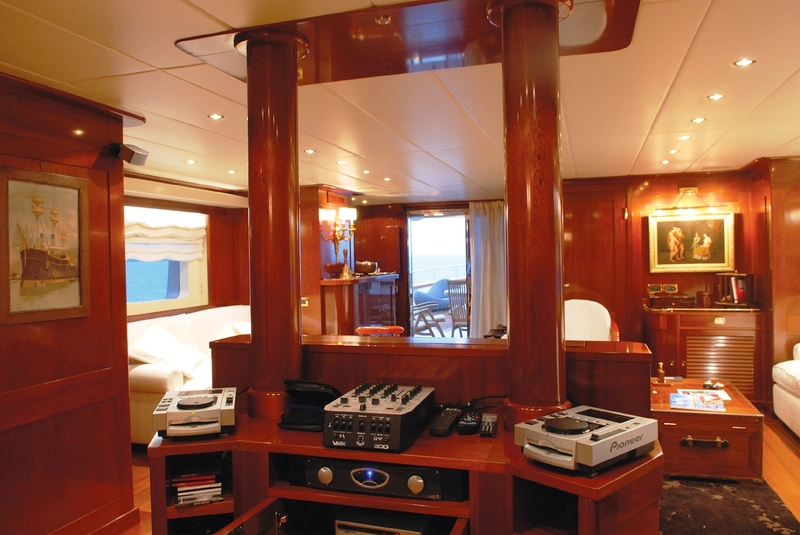 Audio Visual Equipment and Deck Facilities include LCD TV’s and Bose sound systems throughout (including all common areas and cabins). 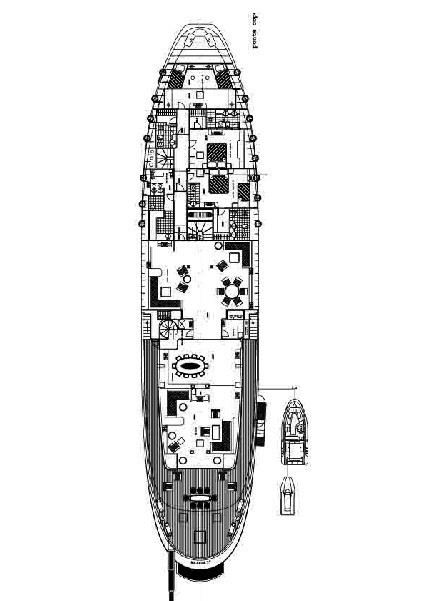 She also has A Satcom/cell phone and fax, Wireless internet connection, SAT internet in the study on the upper deck. 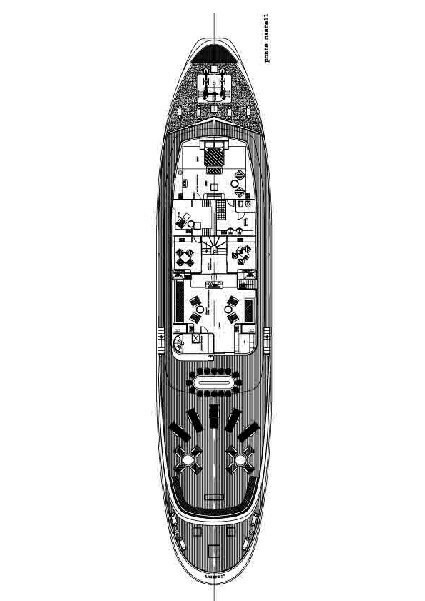 Ther is also a wire connection available for lab tops.